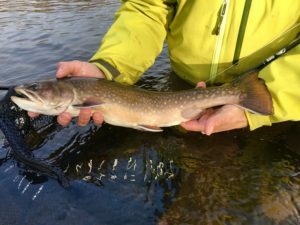 Just like trout in rivers, stillwater trout have basic needs. There are three primary factors involved when hunting stillwater trout; comfort, protection, and food. At first glance, lakes can be vast, featureless and apparently impossible to read. They lack the visible character and manageable size common to most rivers and streams. Neophyte lake fly fishers can feel a sense of helplessness. 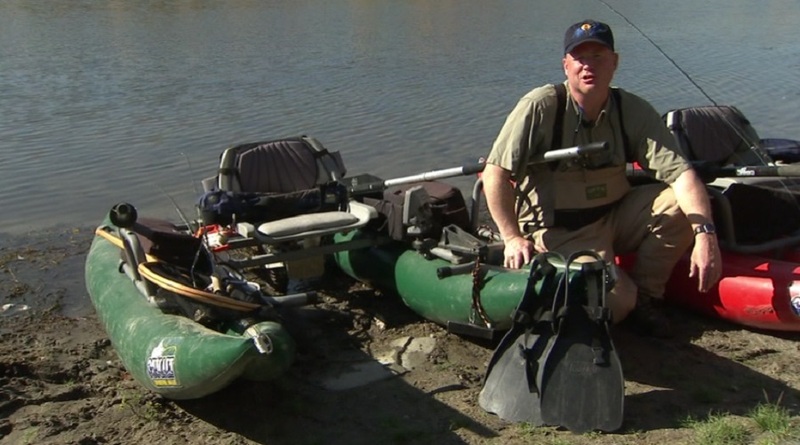 But with a bit of experience and careful observation, locating trout in lakes isn’t all that difficult. The comfort factor is a critical environmental and biological need which trout require to survive. These include oxygen content and its relationship to water temperature. Water temperature is particularly critical. I always carry a thermometer on a long string so I can sample temperatures at both the surface and in the depths. Trout, as with all fish, have a preferred temperature window. If water temperatures are within their range (I use 50F-60F as a general guide), they should be active. When the water temperature is within a trout’s optimum comfort level, its metabolism will be at its peak, allowing it to process oxygen efficiently, digest food quickly, and eat often. It is important to remember two things about water temperature. First, that when it increases, a trout’s ability to hold oxygen decreases. 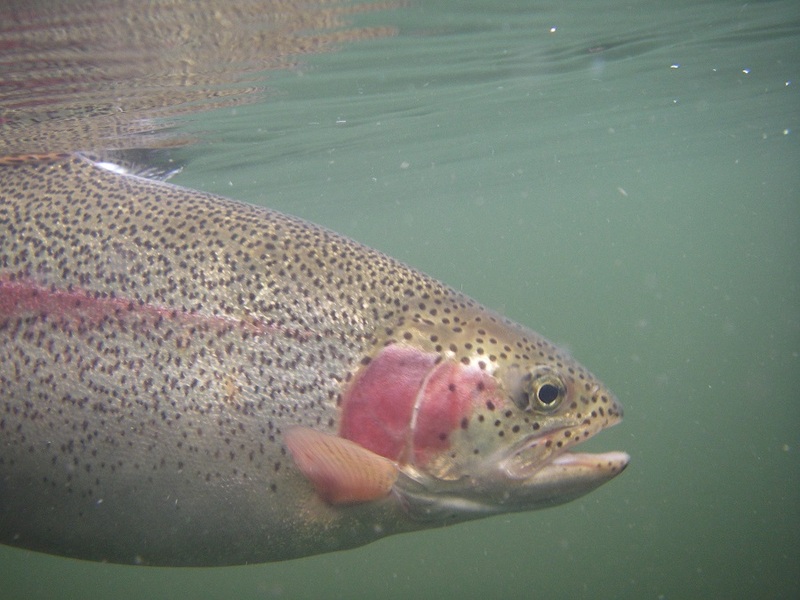 Second, that when it drops or exceeds trout’s preferred range, they will either move to regions more to their liking or their activity will drop and they will cease to feed. Trout also need protection, which provides trout with a safe refuge from which they can confidently venture into the shallows to forage. Places offering protection which are adjacent to deep water are prime locations. Consquently, I prefer to target the edges of sunken islands, weed edges, drop offs, or areas where light levels make it difficult to see the bottom consistently. Other forms of protection include weed beds, the ripples or waves on the water’s surface, algae, and light level. 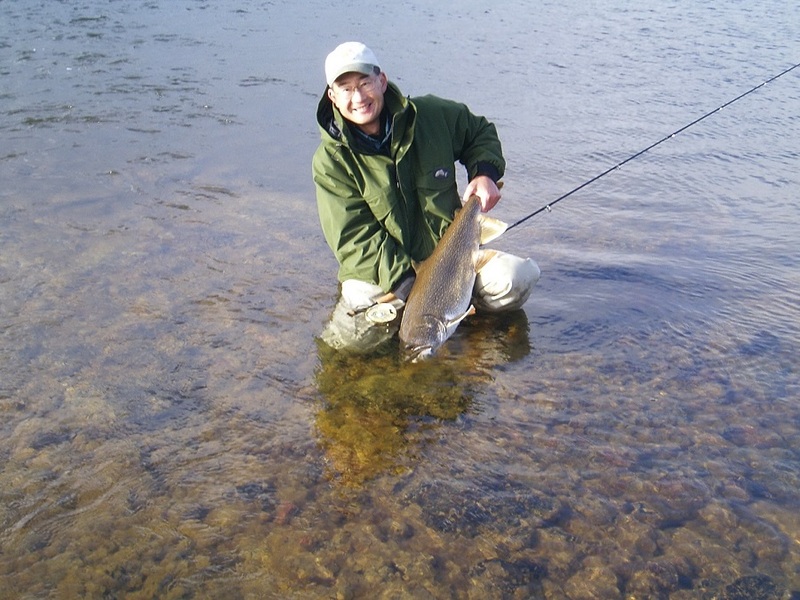 Trout become wary in calm, clear conditions, making it tough to coax them to the fly. Because trout are attracted to sub-surface structures, learning to identify and locate these is a key factor in finding fish. In today’s electronic world, volumes of information about sub-surface structure can be found on-line, using such applications such as Google Earth, or by downloading underwater contour or bathymetric maps. 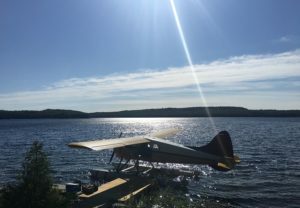 Resources such as these provide invaluable clues which will help you determine the structure of a lake and also develop a game plan on how best to tackle it. 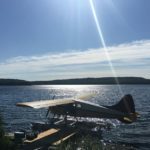 When you stand on the shore of a lake, invest the time to study the surrounding topography, as it provides clues to what lies beneath the water’s surface. For instance, a steep-sided shoreline indicates a fast drop into deep water, while a shallow gradient indicates rich shoal areas worth exploring. Once you’re on the water, a depth sounder will let you know how deep it is, even if you can’t see the bottom. Depth is critical to presentation, dictating both line choice and retrieve speed. In addition, depth sounders can help you locate subtle structural features not displayed on larger scale bathymetric maps. These structural nuggets, once located, produce trout consistently. When visiting new waters you will soon discover that structural elements common to your home waters will also attract and hold trout there. 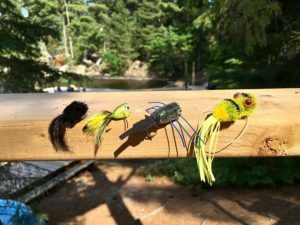 As stillwater fly fishers spend most of time imitating the various creatures that trout eat, we need to be familiar with them. How do they move? When are they most available? What are their common sizes and colors? And, perhaps most important, where do they live? Shallow, shoal areas less than 20 feet deep are the stillwater supermarkets. Plant growth, stimulated through photosynthesis, provides the necessary feeding habitat and protection for prowling trout. Therefore, from a presentation perspective, working the shoal area allows us to employ a variety of weapons within our arsenal. 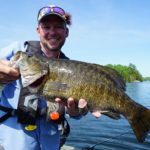 Just about every trick and tactic can be brought to bear when fishing shoals. 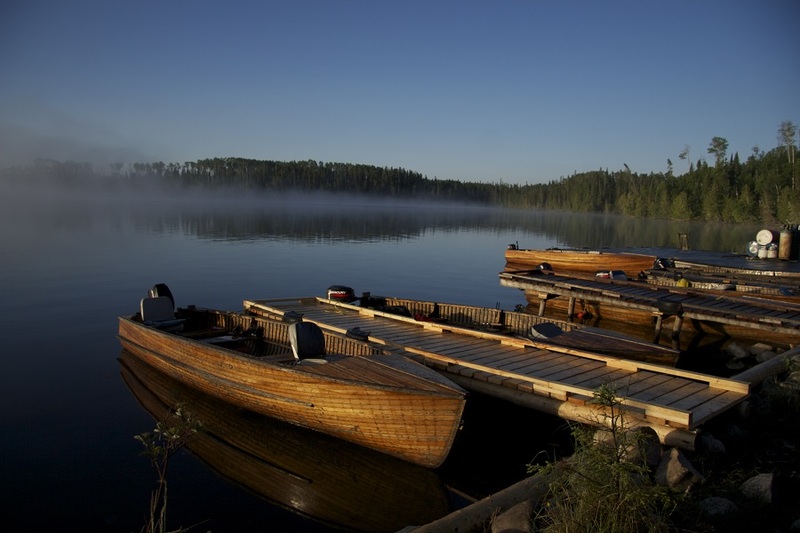 The presentation requirements for lakes differ from those we use on rivers and streams. First of all, on lakes, trout move while the water doesn’t. Consequently, stillwater trout are almost always in a constant state of motion. In addition, as there is little current to animate our flies, we must give them action through our hands as we retrieve them. 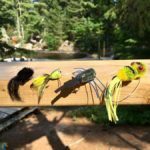 After your line has hit the water, get into the habit of placing the fly line between the thumb and forefinger of your rod hand, or pinching it against the rod handle. 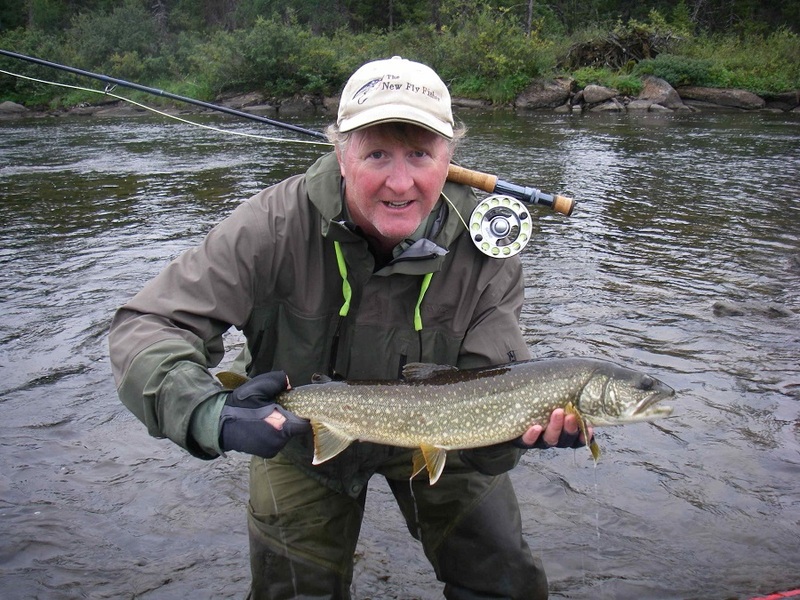 Your rod hand allows you to control the fly line during the retrieve, as well as during the subsequent fight that concludes a successful presentation. 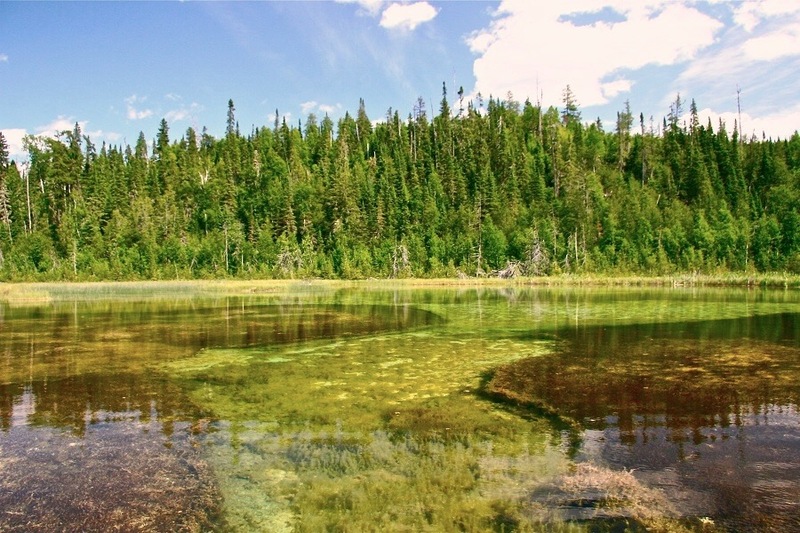 Most of the lakes I visit across North America offer little in the way of quality wading. Mucky bottoms, shoreline vegetation, trees and bushes all conspire against you. If you are going to spend any amount of time on lakes, the need for a boat, pontoon boat or float tube soon becomes apparent. No matter your watercraft choice I strongly recommend an anchor system of some sort. On boats I employ double anchor systems. Double anchors tether you in place, providing complete presentation control. A swaying boat drives you to fits, as it causes you to lose control of your flies and presentation. 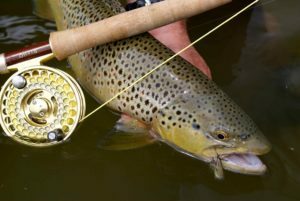 This is especially true of the finesse techniques used to imitate chironomids—a critical stillwater food source for trout. 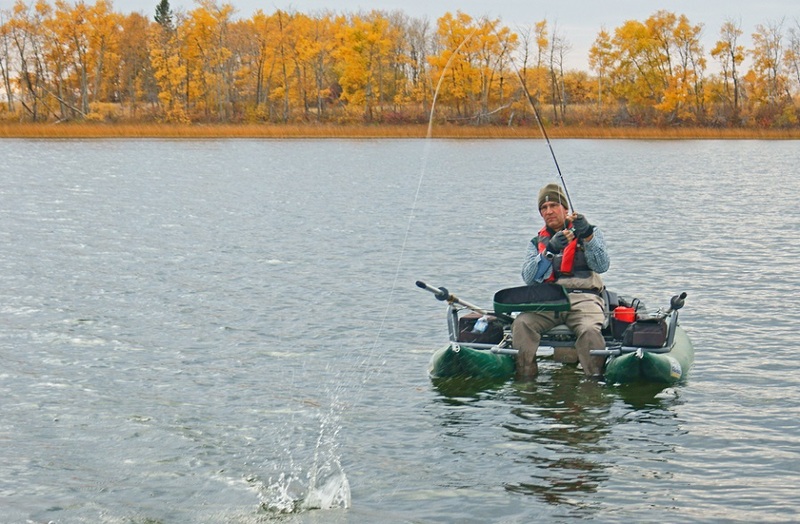 However, not all stillwater presentation techniques involve fishing from an anchored position. 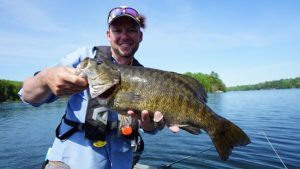 Many times fishing from a drifting boat or slow trolling is the right choice, allowing you to cover more water and present your flies to fresh fish. Flexibility and versatility, as well as patience, are valuable stillwater virtues. By Phil Rowley, host of The New Fly Fisher TV show, stillwater guru, and winner of the Fly Tyer Lifetime Achievement Award.